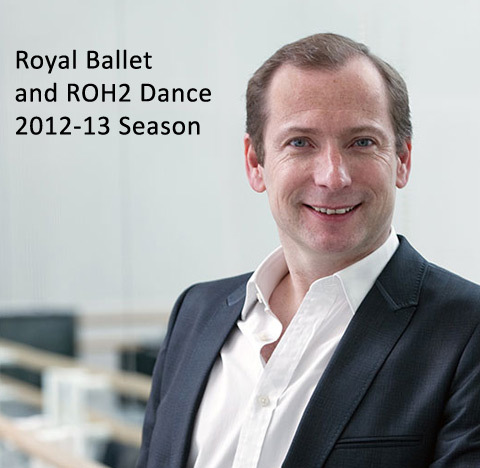 An important event yesterday – the Royal Opera House annual press conference – with Kevin O’Hare announcing his first season as incoming Royal Ballet Director. He takes over from Monica Mason in the summer. in ROH2 Phoenix DC, Random DC and others. Metamorphosis (Edward Watson) returns. Royal Ballet and Ashton… La Valse, Thais, Voices of Sprong, Monotones – 1 and 2. Good. Royal Ballet etc – that’s it for now folks – more later from many I’m sure. Kevin O’Hare on new season. Thinks he has put together a broad range of exciting things for dancers and audience. Huge stress from him about new work being the cornerstone. Season opens with new work and max price of £37. that’s it from Kevin O’Hare on Royal Ballet. Headline stress was on new work on main stage and elsewhere. New broom, new eyes. reflecting on O’Hare’s words vs Mason in earlier years, it was refreshing & more encouraged that RB is looking 2 future. At last. @JudithFlanders sorry about the voices of sprong typo – I like 2 think Ashton would have approved! ROH2 – More stress on, working outside ROH. The recent Brandstrup/Rojo work will be put on at Sadlers Wells for example. Q&A: Tony Hall asked how the ROH was doing financially. Ans: its hard but doing OK and bringing in new audiences. Hall says new booking system will make it easier to book and lead people from good content into tix booking easily. Tony Hall says to expect “bumps” when new booking system goes live – end of next month. We will see! In short it was one of the best ROH conferences I’ve been to in a long time and at last I get the feeling of a team at the top of the Royal Ballet that looks to the future and not the past. Thank goodness.